It’s been two years since my last blog post. This blog post is about a hydro-electric turbine that produces electricity but does not require electricity during the making process and hence its name: Zero Watt Turbine. Zero watt Turbine started with a small and simple idea/question: What if people at off-grid locations, especially in developing countries, could make their own renewable energy generators to power their houses or at least generate basic electricity to light their houses? 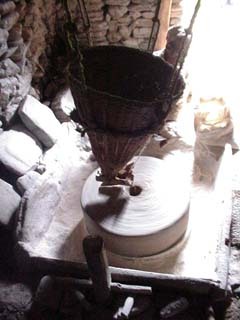 I had observed that people in hilly regions of Nepal have been using Ghattas (traditional water mills)to harness renewable hydropower for centuries to grind grains to make flour. So, it was possible that they could be generating electricity too. 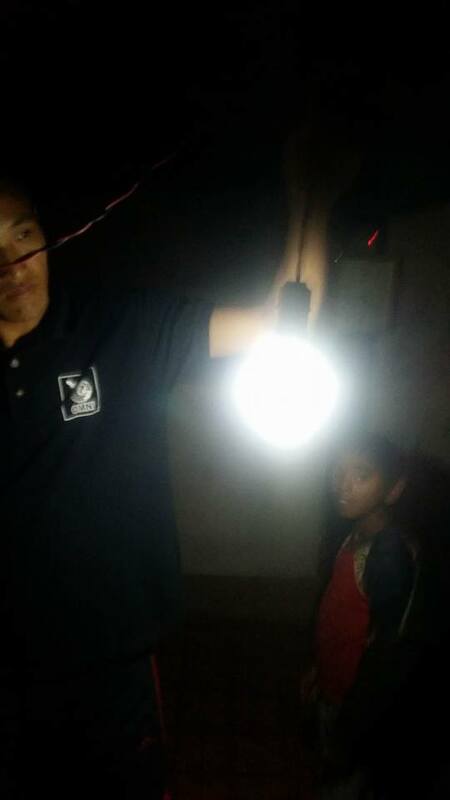 After some googling around I found that some of the Ghattas in Nepal have been modified to generate electricity at night and charge batteries while during the day they were used to mill the grains. 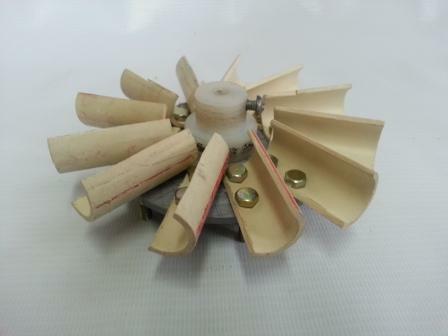 Inspired from electrified Ghatta, I started to make a small portable turbine which could be made by anyone having basic artisan skills. But I soon faced a problem that I had not anticipated. I had to wait weeks before I could fabricate my parts at a local workshop as it was at the peak of load-shedding (power-cuts) season in the winter and the workshop had a huge backlog. That made me completely rethink the way I was going to design the turbine. The design constraint that I set for myself was that it had to be made without using any power tools that required electricity. This was important because people in rural off-grid locations usually don’t have access to machinery or the electricity to operate them. 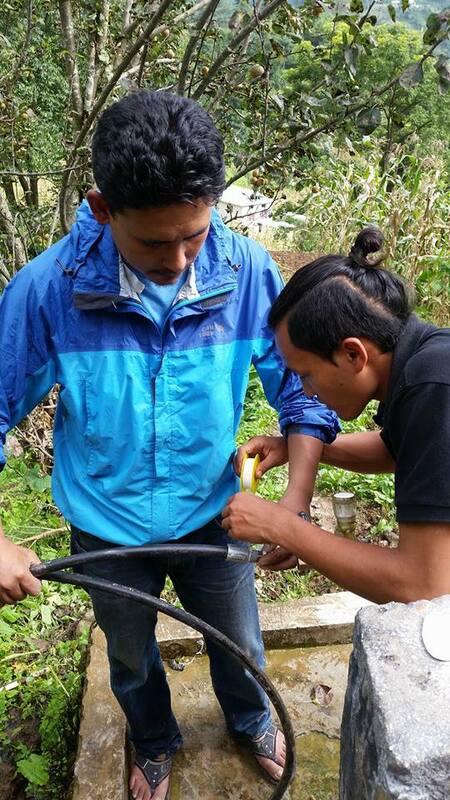 Even for lighting, they rely on kerosene oil lamps and small portable lights. 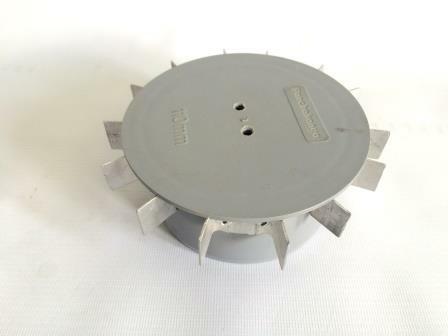 A turbine rotor made using blades out of CPVC pipe and a base plate out of 75mm PVC cap. It was laborious to drill and cut those pipe pieces. Aligning the two holes was also a problem. 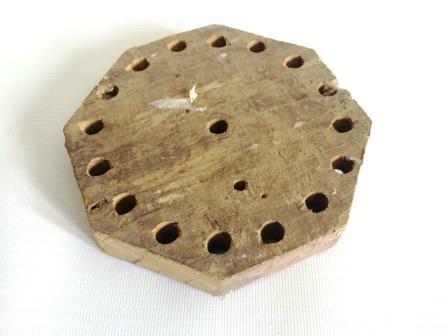 A turbine rotor made out of a wooden octagon and the inner surface of the holes function as blade surface upon which the water hit. 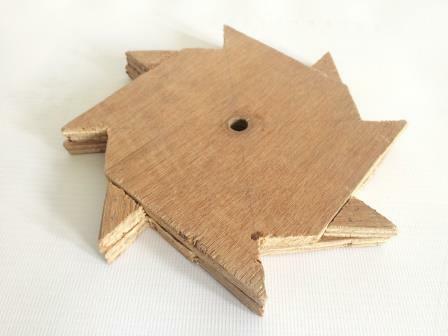 Another wooden rotor prototype with two layers of plywood cut in a certain geometry which makes blades when stacked together. 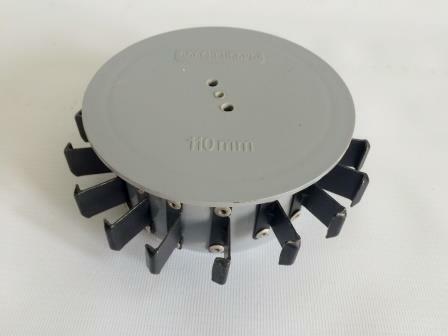 Improved 110mm PVC cap rotor design using Aluminium C-channel cut as blades and attached to the rotor using rivets. This design led to significant improvement in the output voltage. 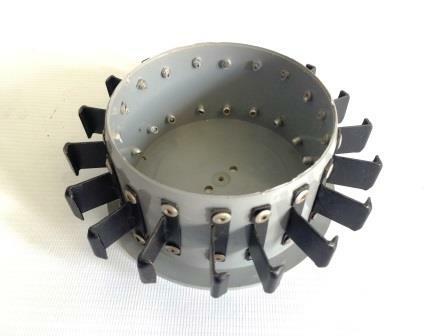 Final rotor design using 110mm PVC cap and aluminum window lock bits as blades which were riveted onto the rotor head. The flipped rotor head clearly shows the rivets attached. The site where the turbine was installed and me performing some necessary tweaking. 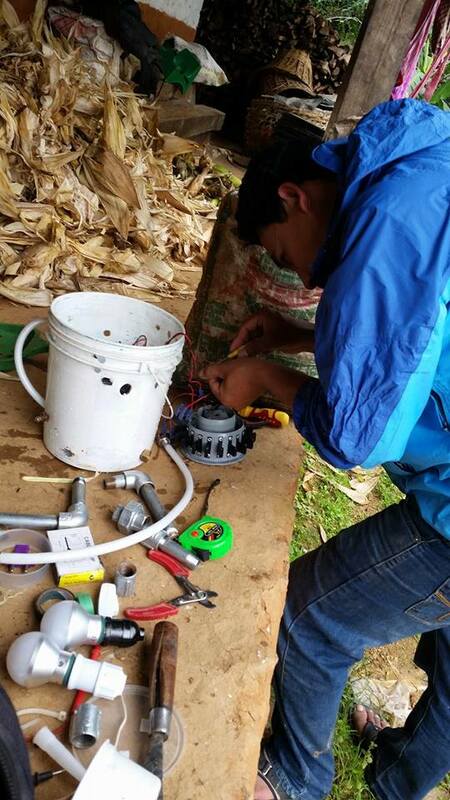 In comes water, out goes electricity: a working prototype. 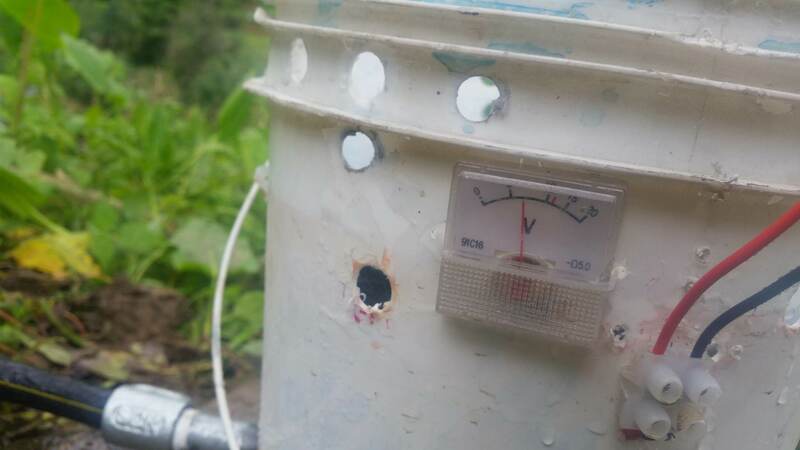 Tap water diverted to the turbine. Voltmeter indicating some voltage is indeed being produced using this turbine for the first time. And finally, some light to pierce the darkness. This blog shows how the idea evolved from a simple inquiry to a working prototype. On the next blog, I’ll be posting about how to make it, the technical specifications, improvements made on the turbine and the possible ways to scale it.